Marsha Hewitt is Professor of Social Ethics and Religion in the Faculty of Divinity at Trinity College, and teaches in the Department of Theology in the Toronto School of Theology. She also teaches in the Trinity College Arts programme, Ethics, Society and the Law. Professor Hewitt’s books include From Theology to Social Theory: Juan Luis Segundo and the Theology of Liberation (1990), Critical Theory of Religion: A Feminist Analysis (1995) and Freud on Religion (2014). Telepathy, thought transference, unconscious communication. While some important early psychological theorists such as William James, Frederic W. H. Myers and Sigmund Freud all agreed that the phenomenon exists, their theoretical approaches to it were very different. James’s and Myers’s interpretations of and experimental investigations into telepathy or thought transference were an inextricable part of their psychical researches. Freud’s insistence on the reality of thought transference had nothing to do with psychical research or paranormal phenomena, which he largely repudiated. Thought transference for Freud was located in a theory of the unconscious that was radically different from the subliminal mind embraced by James and Myers. Today thought transference is most commonly described as unconscious communication but was largely ignored by subsequent generations of psychoanalysts until most recently. Nonetheless, the recognition of unconscious communication has persisted as a subterranean, quasi-spiritual presence in psychoanalysis to this day. 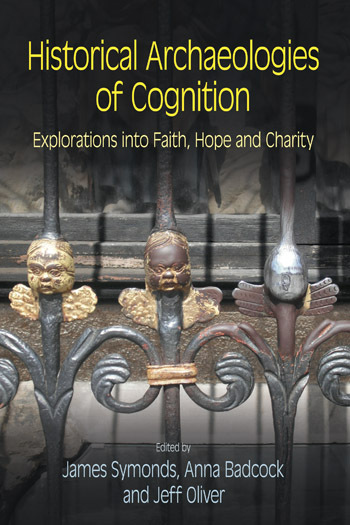 As psychoanalysis becomes more interested in unconscious communication and develops theories of loosely boundaried subjectivities that open up to transcendent dimensions of reality, it begins to assume the features of a religious psychology. Thus, a fuller understanding of how unconscious communication resonates with mystical overtones may be more deeply clarified, articulated and elaborated in contemporary psychoanalysis in an explicit dialogue with psychoanalytically literate scholars of religion. In Legacies of the Occult Marsha Hewitt argues that some of the leading theorists of unconscious communication represent a ‘mystical turn’ that is infused with both a spirituality and a revitalized interest in paranormal experience that is far closer to James and Myers than to Freud. The emergence of psychology, psychoanalysis, and psychology of religion out of the late nineteenth century cultural context of popular occultism will be considered. A central part of this discussion will focus on the question of the emergence of these disciplines belonging to a trend of ‘disenchantment’ or a transformation of ‘enchantment’? 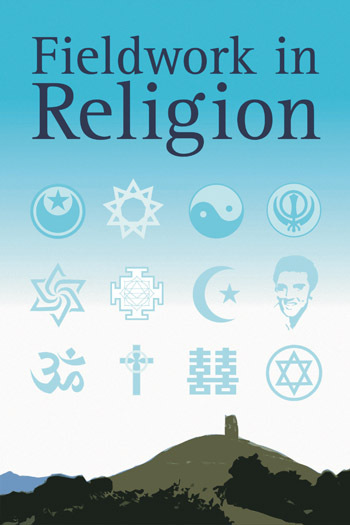 The great psychologist of religion William James argued that religious experiences must be considered as potentially legitimate bases for forms of knowledge too readily dismissed by conventional science. It is argued that James’s acceptance of the spiritual ‘More’ of religious experience may be considered as a crucial part of his deep and abiding interest in psychical research. His empirical and experimental researches in the field of psychic phenomena undertaken with his colleague Frederic W. H. Myers share the view that the human mind contains limitless depths of potential creativity and supranormal potentiality. Myers believed that the psychic core of each human being intersects with the cosmos, which if tapped into by means of various psychological techniques, helps to explain a variety of paranormal experiences and capabilities, such as telepathy or unconscious communication. The concept of the subliminal mind (or ‘subconscious’) shared by James and Myers is the central organizing concept around which their ideas of a ‘beyond’ or ‘More’ in its various natural manifestations will be explored. Telepathy is key to the empirical demonstration of this part of their theory. The work of James and Myers may be seen as representing late nineteenth-century efforts to integrate science and ‘religion’. This chapter will argue that Sigmund Freud’s concept of the unconscious must be sharply distinguished from the Jamesian and Myersian subconscious or subliminal mind. While Freud accepted that telepathy or thought-transference exists (Gedankenübertragung) and that communication between unconscious minds takes place, he rejected supranaturalistic or mystical explanations for it. A consideration of thought transference within the context of psychoanalysis allowed for satisfactory if partial natural explanations of the phenomenon. For the sake of further theoretical clarity and coherence, the discussion in this chapter of the differences and demarcations between the subliminal and unconscious dimensions of the human mind will need to take account of the theories of religion of both James and Freud. With the historical/theoretical discussion of Myers, James, and Freud in place, the argument will pursue and elaborate the increasingly unstable fault-line since Freud between the Freudian unconscious and one that has more in common with the subliminal consciousness of Myers and James. This will be demonstrated with particular focus on the work of psychoanalyst Elisabeth Lloyd Mayer’s efforts to integrate and expand psychoanalytic theory to account for a wide array of forms of unconscious communication that includes paranormal research. Mayer’s work recalls and updates the work of James and Myers into contemporary psychoanalytic discussions of unconscious communication. This chapter will explore the spiritual or mystical implications of contemporary psychoanalytic interest in unconscious communication as discussed in chapter three. There will be a particular focus on analytic thinkers such as James Grotstein who explicitly assert that psychoanalysis is (or should be) considered as religion. Grotstein is heavily influenced by his mentor and analyst Wilfred Bion whose quasi-mystical, vaguely articulated notion of ‘O’ allows him to propose that psychoanalysis is a religious enterprise. Here the intersections between Grotstein’s sacred psyche and psychoanalytic notions of the fluid boundaries between individual minds such as represented by Mayer and others will be examined. This chapter will situate the psychoanalytically informed historian of religions Jeffrey Kripal’s work with respect to both Grotstein and Mayer. At this point in the discussion a religious studies specialist is crucially important to bring out the deeper mystical or sacred themes implicit in psychoanalysis as represented by the authors under discussion. Kripal’s work illuminates the (possibly) inherent ‘religiousness’ of the very question of unconscious communication, at least as it is treated in some of the contemporary psychoanalytic literature. Kripal’s work also leads to a deeper level of questioning that non-religious psychoanalysis must consider: in his acceptance of telepathy, did Freud inadvertently open the door to establishing a subterranean occult thread that courses through psychoanalysis to this day, thereby undercutting his own critique of religion and arguments for what constitutes valid knowledge claims? If it is reasonable to conclude that unconscious communication represents the ‘navel’ of the occult within psychoanalysis, then what possible naturalistic, non-mystical explanations i.e. concepts, categories, discursive structures, are adequate to account for weird phenomena that analysts are increasingly reporting? Or, does the question of unconscious communication in psychoanalysis require a dialogue with or even inevitably fall back upon religious studies in order to elaborate its own unconscious? This section concludes with a critical discussion of how Kripal, Grotstein, and Mayer’s theories illuminate both implicit and explicit psychoanalytic and spiritual perspectives on unconscious communication. Viewed in the light of each other, the work of these authors demonstrates the intersection/interface between religious studies and psychoanalysis that will elaborate as yet unelaborated theoretical potentialities in both. The overriding question remains: is unconscious communication the unacknowledged, occult or mystical thread that permeates psychoanalysis? Has the psychoanalytic study of religion initiated by Freud long ago given way to the psychology-as-religion approach as represented by William James? Other theories of unconscious communication will be considered such as trauma, affect theory and some insights from psychoanalytically informed neuroscience as represented primarily in the work of Allan Schore. While many neuroscientists agree that mind is not reducible to brain, nor is the nature of consciousness as yet fully explained, they acknowledge the existence of unconscious communication. This approach sustains the tension between the neurobiological and psychological dimensions of the mind while acknowledging the mysteries of consciousness.